It’s not that we have anything against persimmons...really! But it seems that they die a slow, ever-softening death every time they make their way into our kitchen. We’ve made a vow that this will no longer happen (they’re too delicious for that anyway!). 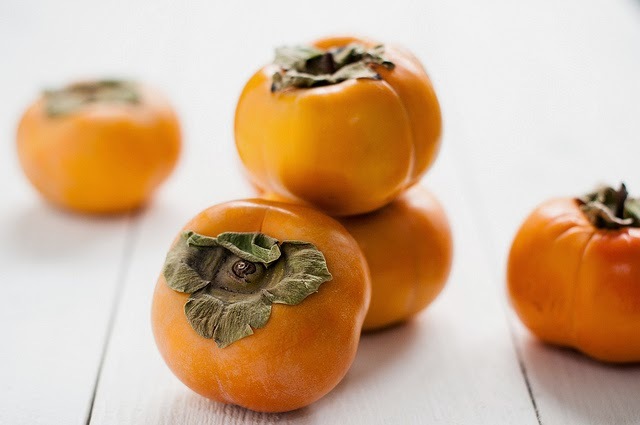 Apart from their scrumptious flavour, persimmons also pack a major karate-chop in terms of health benefits. You might not have known this, but persimmons are full of antioxidants, which can help protect you and me from free radicals and harmful diseases. Not only that, but persimmons contain high levels of fiber that help us feel full longer. That fiber is also excellent for improved digestion. Persimmons also have high levels of potassium, which helps to reduce high blood pressure and is also beneficial in preventing other cardiovascular issues. 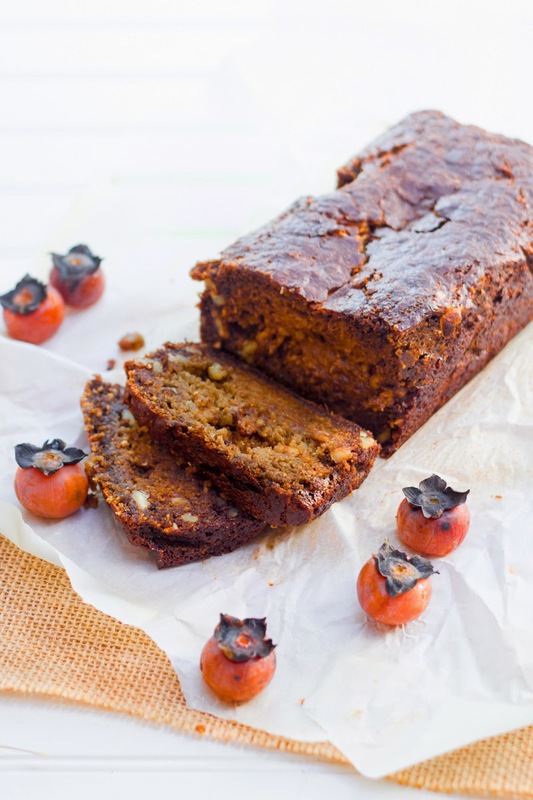 Of course persimmons naturally lend themselves towards sweet treats, but we’ve tried to balance out our recipes to offer a little bit of everything! Here we've tried to give you sweets with a twist. This quick bread uses persimmon pulp and is easily changed up to suit your family's preferences. Enjoy nuts? Not a problem, toss in walnuts! Want dried fruit instead? Try cranberries. Or you could just leave the bourbon and persimmon to be the stars of the show (which they happen to do quite well). 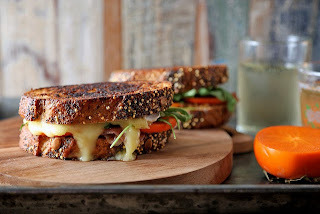 We really love whenever we come across "grilled cheese for grown-ups" recipes and this particular combination of flavours is a match made in heaven. The saltiness of the prosciutto paired with the sweetness of the persimmon all held together with the ooey-gooey awesome-ness of brie? Sold. Who said that salsa could only be made out of tomatoes? No one, that's who! 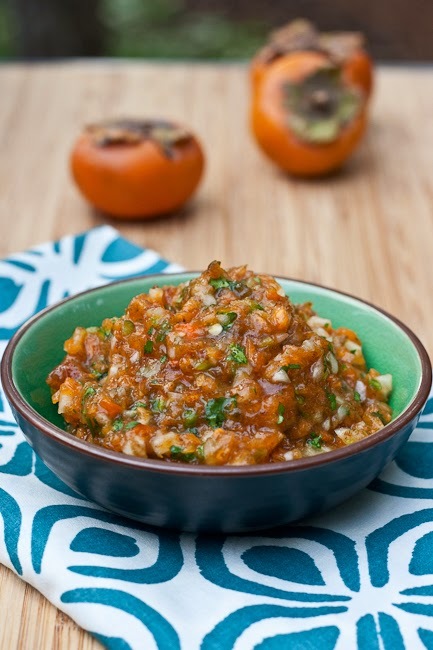 We love a mango salsa or a salsa verde, but never have we seen a persimmon salsa. We are intrigued by this one - the sweetness of the persimmon and spiciness of the jalapeño makes for an interested combination of flavours. It would be absolutely perfect over some grilled chicken...or just on some corn chips. 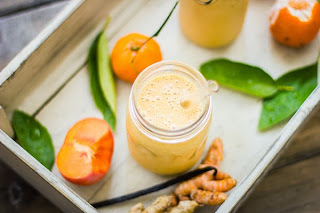 This smoothie is practically a party of powerhouse fruits - banana, tangerines, and persimmons. Not to mention the subtle ginger and vanilla flavouring! You have the added benefit of a gorgeous-looking smoothie too. This one sounds like all kinds of delicious served up beautifully. Ah! 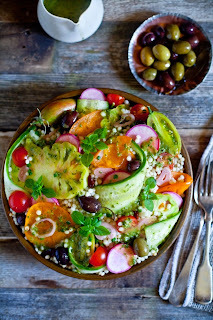 This glorious salad is packed full of yummy veggies and topped with a simple and understated dressing. 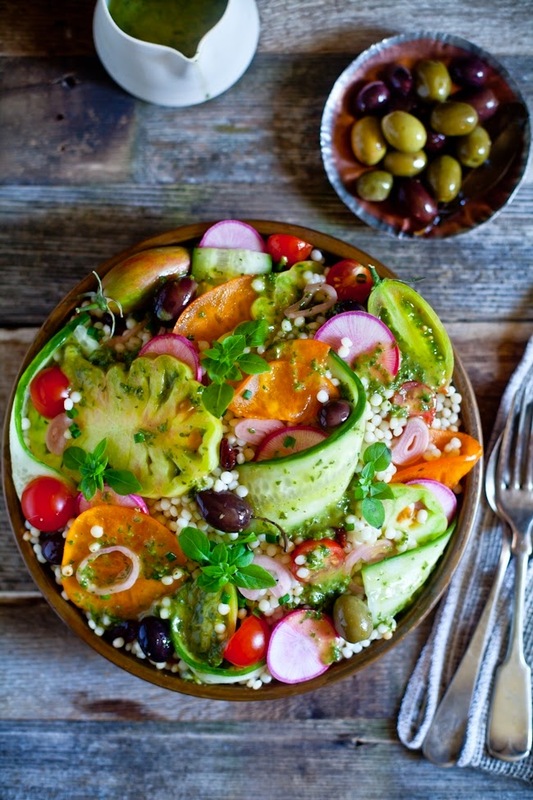 This salad will come together very quickly once your couscous is ready to go, so make sure to have your produce prepared ahead of time.